AP classes and how expensive they can get. Providers that we used (note: Harari is no longer offering AP classes). Online vs do-it-yourself AP classes. AP syllabus revisions by the College Board. Importance of AP exams for homeshoolers. Are APs better than dual-enrollment classes? Are all APs made equal? Challenges of the AP class/taking the exam that you might not be aware of. 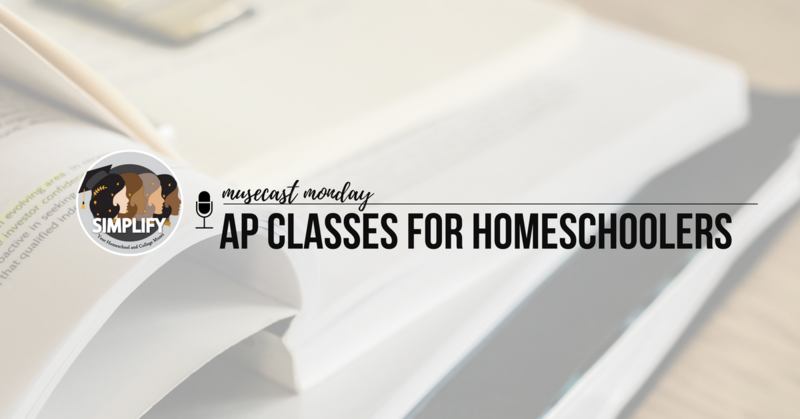 Is your homeschooler considering AP classes? Torn about what to do? Try a Simplify parent circle or continue the conversation on our Facebook Group, College Confident Homeschoolers (CoCoH). Next StoryAP, Dual Enrollment, or Something Else?